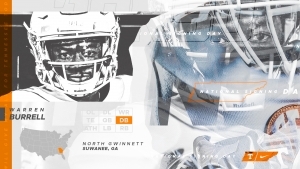 Josh Ward’s Analysis: Burrell has a good frame to be a successful cornerback in the SEC; he just needs to add weight to play at the next level. 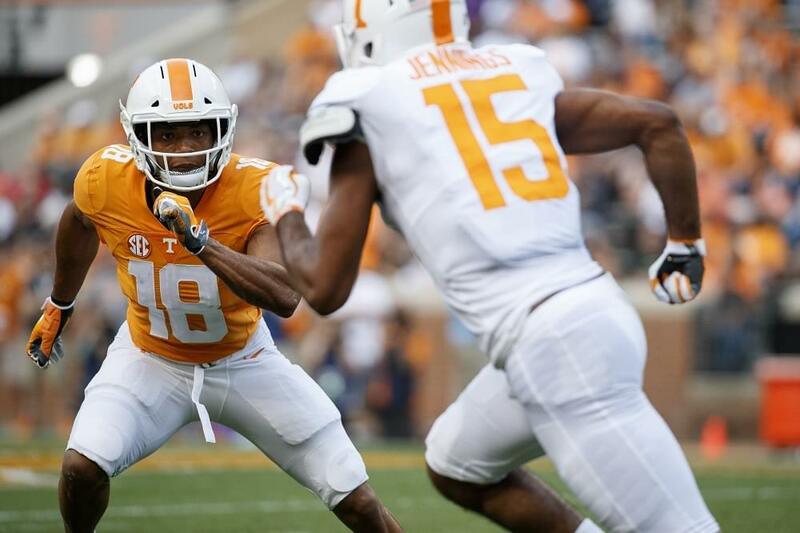 Enrolling early will help him get a head start as Tennessee looks for more help in the secondary. Starred at North Gwinnett High School in Suwanee, Ga.
2018 Georgia Preseason Class 7A All-State selection. Unanimous Georgia Class 7A All-State selection in 2017. Helped lead North Gwinnett to a 14-1 record and Georgia Class 7A State Championship in 2017. Had 61 tackles, seven interceptions, 11 pass breakups and two blocked kicks as a junior in 2017. Earned All-County honors as a senior in 2018. Helped lead North Gwinnett to a 10-3 record and an appearance in the qaurterfinals of the Georgia Class 7A state playoffs in 2018. Expected to garner Georgia Class 7A All-State honors for 2018 season.